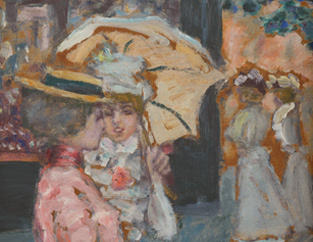 Did the dispersion of the Antoine Terrasse collection benefit from the Bonnard exhibition at the Musée d'Orsay? Timing it a few days after the opening of the Paris retrospective was clearly a shrewd move, since a number of collectors had made the trip. One thing is certain: this dispersion, organised in Fontainebleau on 29 March (Osenat auction house), had an international audience. The personal world of Pierre Bonnard, from the family collection of his great-nephew Antoine Terrasse, took €5,485,000, with the top two bids going to "La Promenade", a 1900 canvas knocked down for €970,000, and the self-portrait, which went for €960,000. The former was bought by an international buyer, and will join a private American collection, while the charming self-portrait from 1889 was obtained by an English collector. 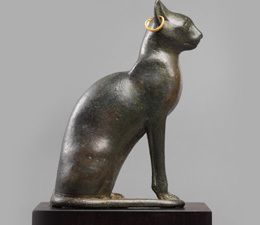 The bids did not reach seven figures (we should not forget that the works were all small formats), but they far exceeded the original estimates. Drawings also made a memorable impression, perhaps inspired by the concurrent Salon du Dessin: a 1930 drawing in black pencil of a fruit basket took €27,300, while the album of almost 84 sketches and drawings by the artist made €39,000.